With a myriad of shopping opportunities, a thriving arts and culture scene, exciting sports and outdoor activities, and fun family-friendly events, Allen isn’t your typical run-of-the-mill Dallas suburb. Recently named one of the best large communities to live in in the state, Allen is a Dallas suburb that’s small enough to feel like home, yet big enough to support its reputation as a great tourist destination. Whether you’re looking for a quiet small-town escape or a starting point for your next adventure in the Dallas area, Allen is the place for you. Although Allen is an easygoing urban retreat these days, its welcoming nature belies a colorful past. Did you know the first train robbery in Texas happened in Allen? That’s right; in 1878, noted outlaw Sam Bass and his gang stole a cool $1,500 (nearly $40,000 today) from the Texas Express Car. Allen’s history has always been tied to rail. It was established in 1872 by the Houston and Texas Central Railroad and named after Ebenezer Allen, the last Secretary of State for the Republic of Texas. Allen became what it is today with the construction of Interstate 75 and the Dallas-Fort Worth Airport, which helped it become one of the most affluent cities in the region. Today, Allen is a haven for lovers of arts and culture instead of outlaws and train robbers. The Allen Arts Alliance provides everything from dance by the Allen Civic Ballet to theater by Allen’s Community Theatre. Live concerts are some of the most popular Allen events, whether it’s Bach by the Allen Philharmonic Orchestra & Symphony Chorus or Rob Thomas at the Allen Event Center. Speaking of the event center, its location in Allen makes the city a great place to see top-class professional sports. Three local soccer, hockey, and arena football teams host their home games at the center. To get some sports in yourself, play a round at the golf courses at The Courses at Watters Creek, or aim for the targets at Topgolf in Allen. For an equally innovative experience, try catching some waves on a cable-pulled wakeboard at Hydrous Wake Park, or head to The Edge Visitor Center for skateboarding, BMX biking, and street hockey. You can’t leave without spending some time in Allen’s excellent shopping centers, such as the Allen Premium Outlets. Hundreds of folks from around the Dallas and Fort Worth area flock here to cash in on bargains on designer fashions. 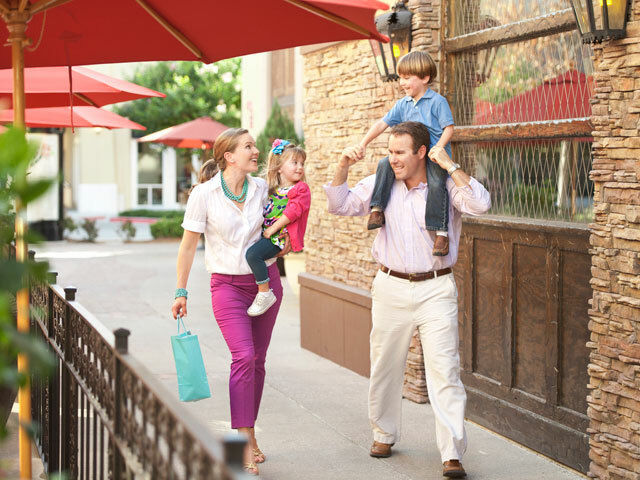 The Village at Allen and Watters Creek at Montgomery Farm offer similar shopping experiences in lovely settings, with tons of great restaurants and activities within walking distance. If you’re looking for a relaxing break or an adrenaline rush, you’ll find both in equally compelling measure in Allen.